In 2004, an unlikely band of college students attempted an outrageous heist of rare books from a university library. Guided by the larcenies they had seen on screen, these four young men mistook their lives for a movie as they set out on this well-planned mission. Their story is told through this white-knuckle fictionalized caper film, directed with colourful verve by Bart Layton (THE IMPOSTER). The question of what happened — and, arguably, didn’t happen — is the focus of this unbelievable but true story. Until recently Bart Layton has worked as a documentary director and producer. His first theatrical documentary, THE IMPOSTER, premiered at the 2012 Sundance Film Festival and went on to receive numerous accolades, including winning a BAFTA Award, being short-listed for an Academy Award, and becoming one of the highest-grossing British documentaries ever. Layton has been the creative director of leading British production company Raw for 12 years. 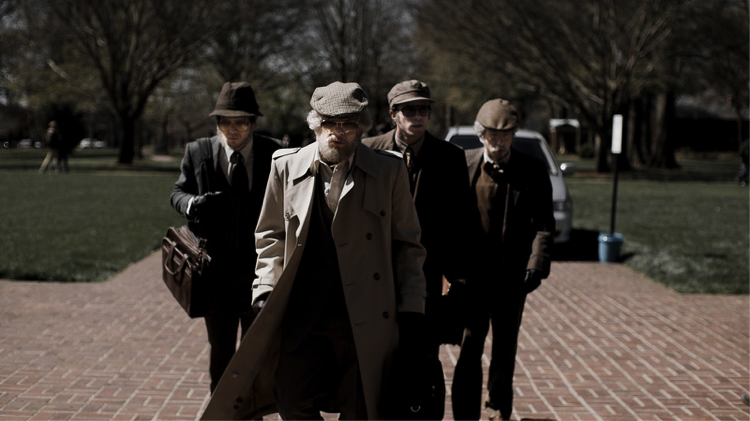 AMERICAN ANIMALS is his first narrative feature. "Conflicting realities bite in this wildly entertaining true-crime thriller, docmaker Bart Layton's dynamic first foray into (mostly) narrative cinema."